The best part of summer is upon us. 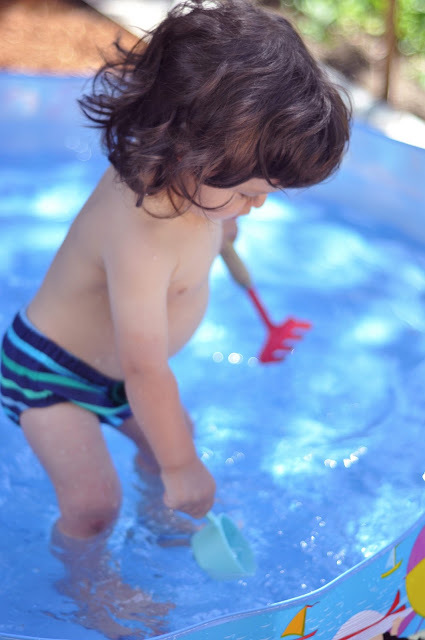 Here are a few pictures from our kiddie pool time this week. Jude doesn't really like to sit down in the water (or anywhere else for that matter) so he just stands, and splashes. And drinks the water. He also likes to say "AH!" after gulping a good measuring cup full of pool water. I also made some more rocket pops, his favorite thing ever. 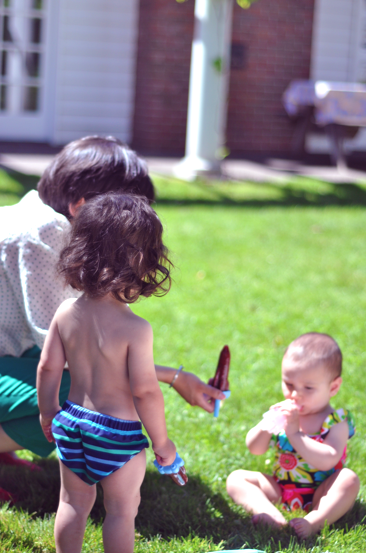 He wanted to steal them from his friend and double fist it, but we had to teach him that sharing is caring, despite how cute double rocket pops would have been for the camera.